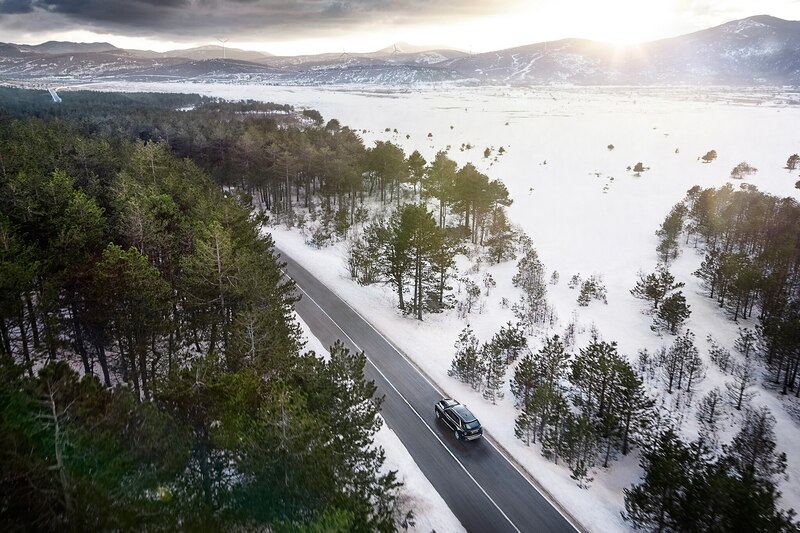 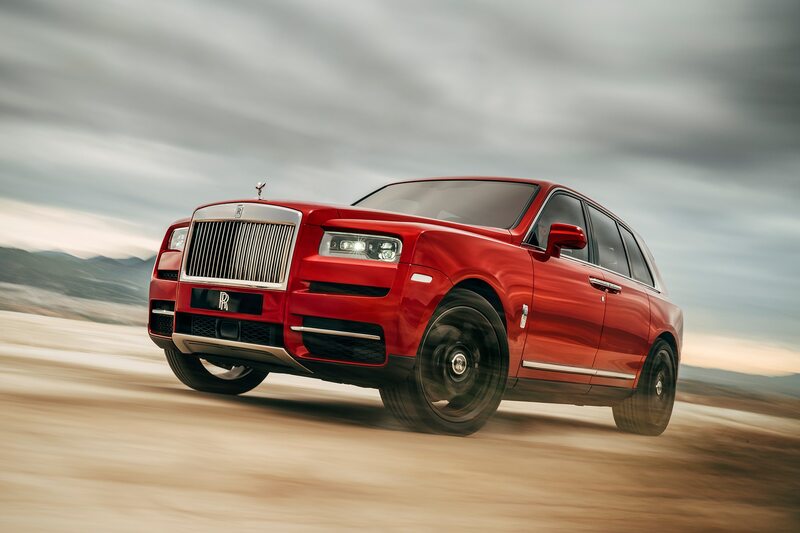 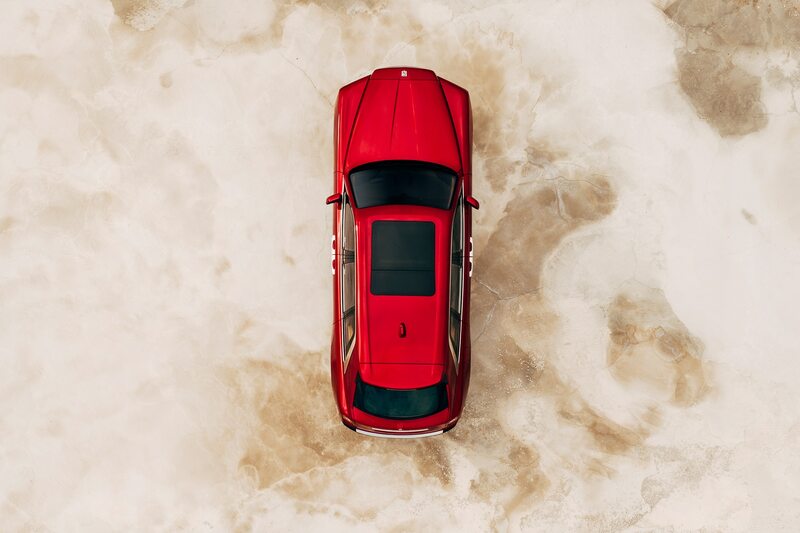 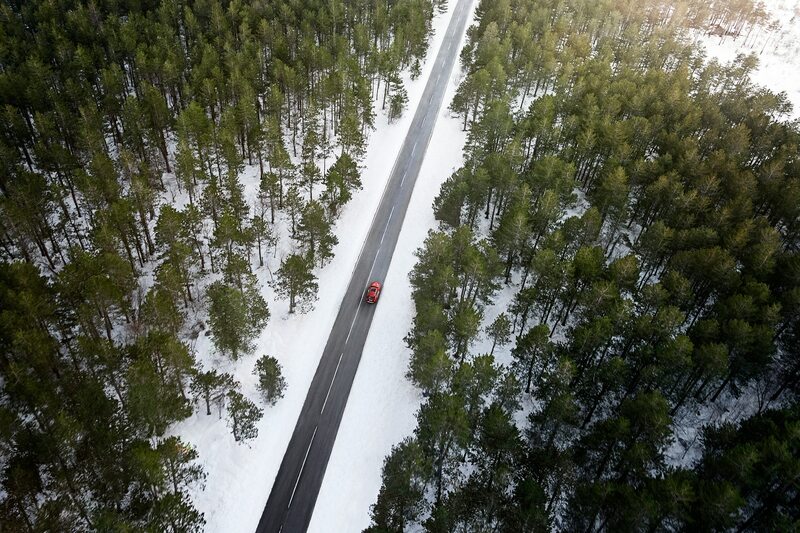 After spending the past four years testing around the globe, the 2019 Rolls-Royce Cullinan SUV has finally arrived—and it does not disappoint. 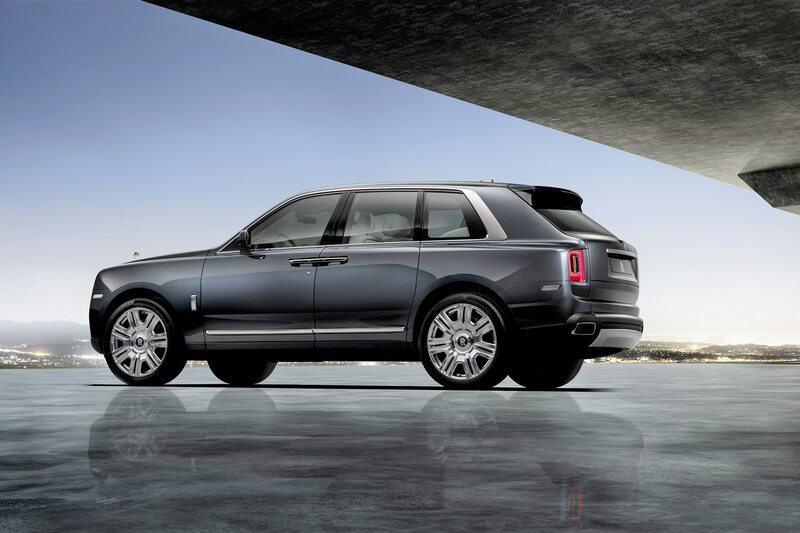 Up front, the Cullinan boasts a stainless steel pantheon grille below the Spirit of Ecstasy. 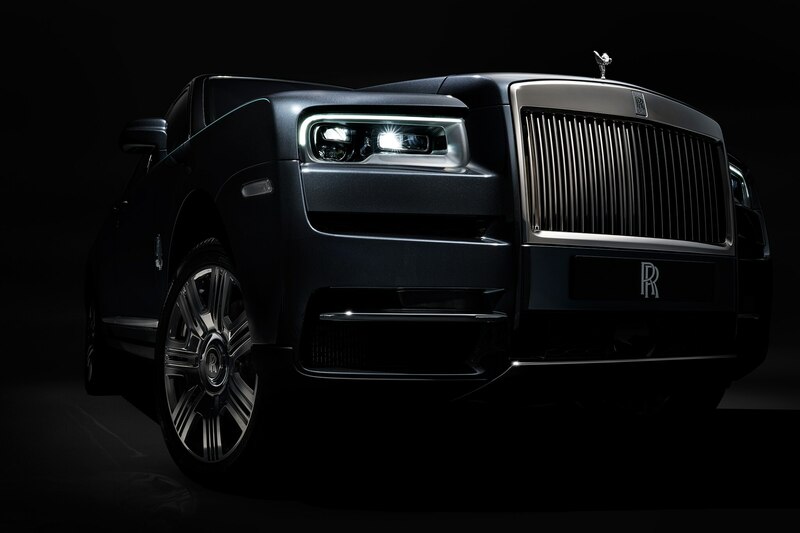 It’s flanked by small LED headlights and surrounded by strong horizontal lines. 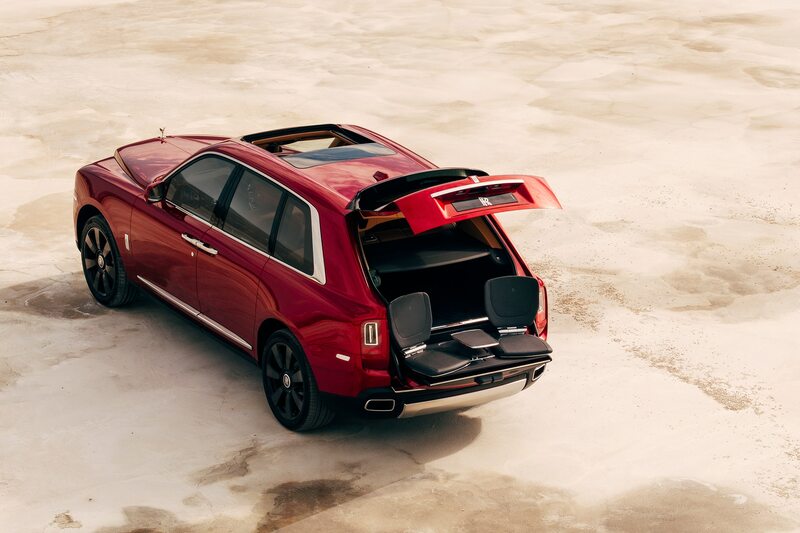 At rear, there’s a two-piece tailgate that Rolls-Royce calls “The Clasp.”’ It’s a nod to the days when luggage was mounted on the outside of motorcars. 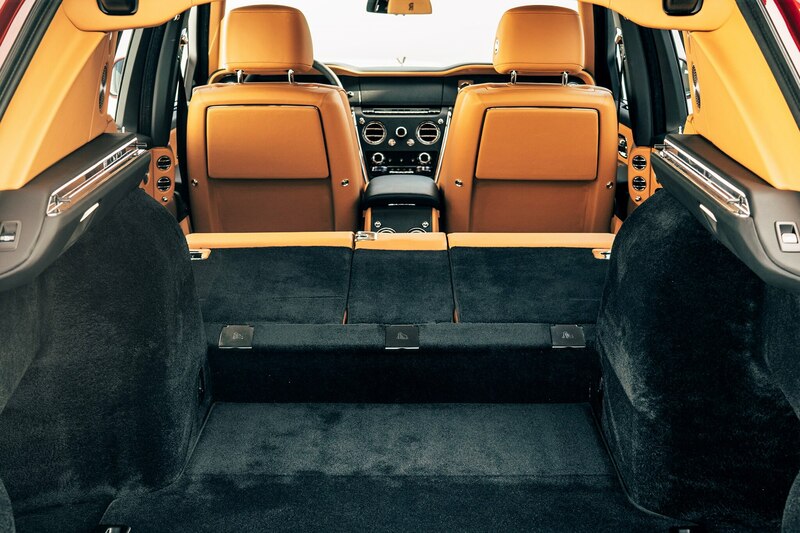 The tailgate closes its two sections automatically via the key fob. 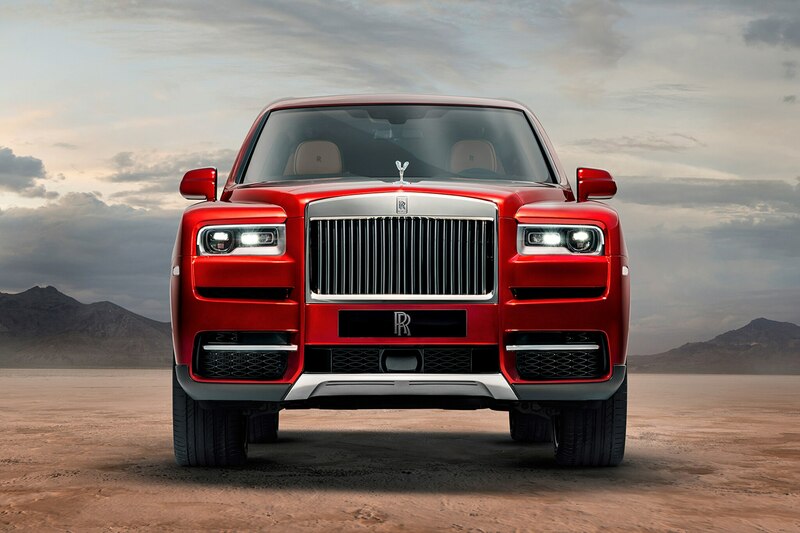 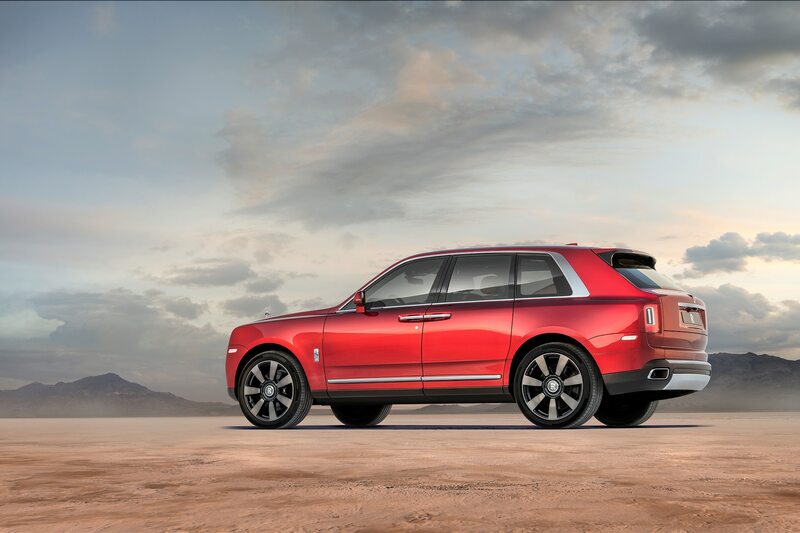 “At this point in the history of automotive design, SUVs have become homogenous and ubiquitous,” said Giles Taylor, Rolls-Royce design director, in a statement. 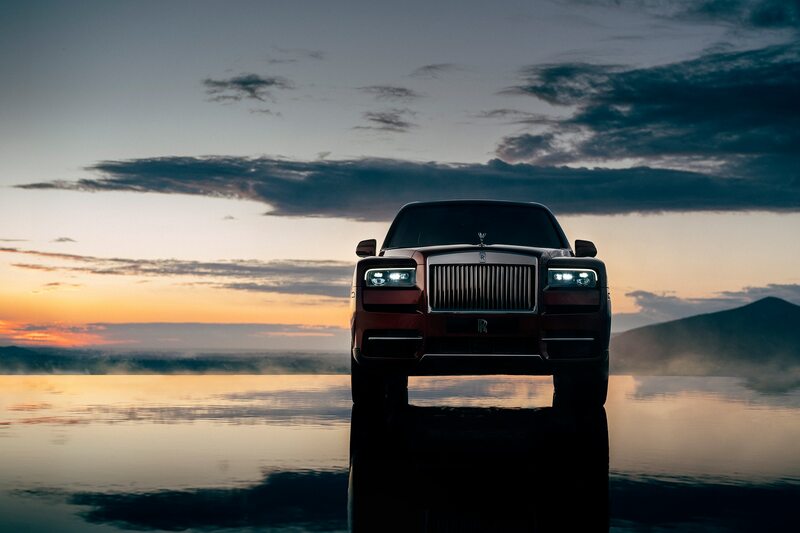 Under the hood, the Cullinan packs Rolls-Royce’s twin-turbo 6.75-liter V-12 engine, which delivers 570 hp and 627 lb-ft of torque. 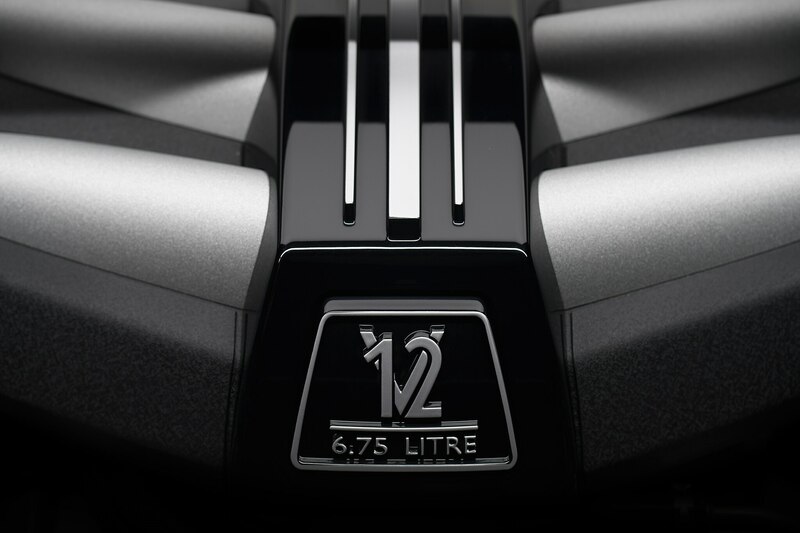 Its mated to an eight-speed automatic transmission along with all-new all-wheel drive and all-wheel steer systems. 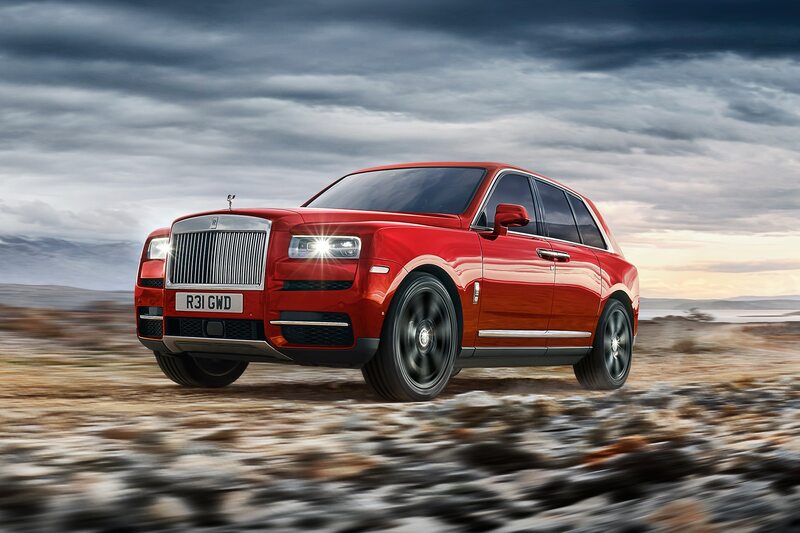 Top speed sits at 155 mph. 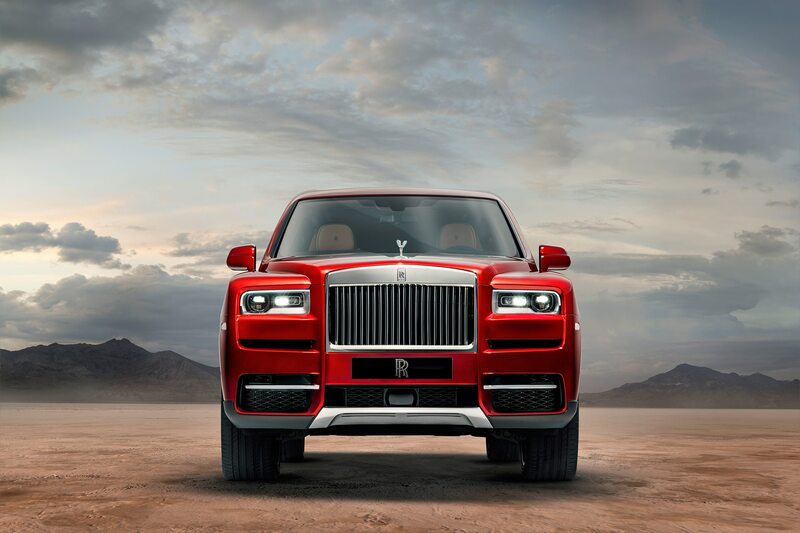 The Saxon SUV measures 210 x 85 x 72 inches (L x W x H) and has a 130-inch wheelbase. 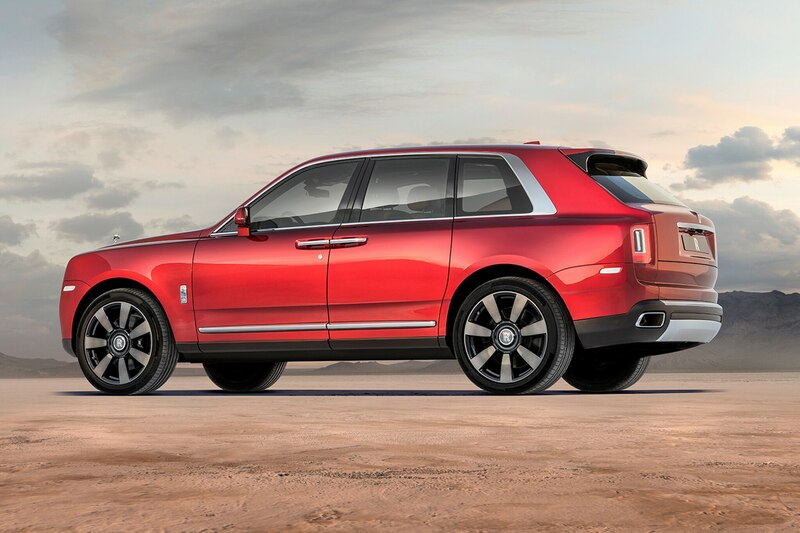 It rolls on 22-inch wheels and weighs in at a hefty 5,864 pounds. 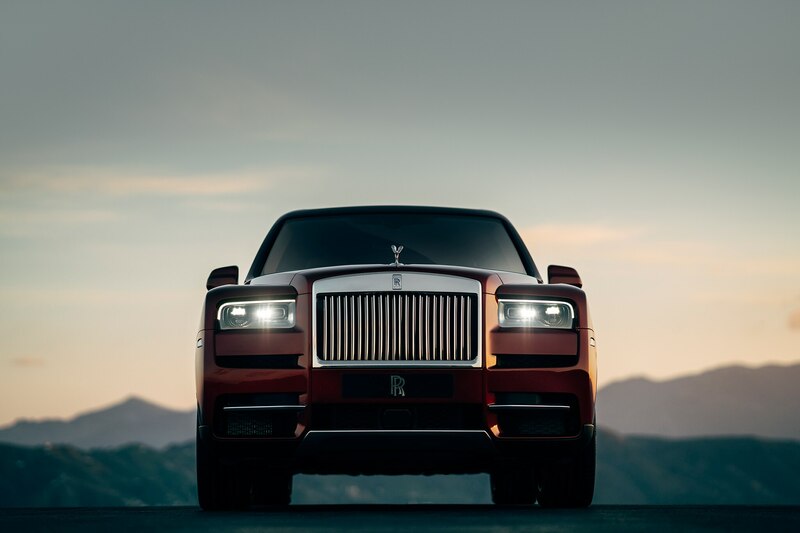 It’s the second Rolls-Royce, after the 2018 Phantom, to sit on the all-aluminum Architecture of Luxury platform. 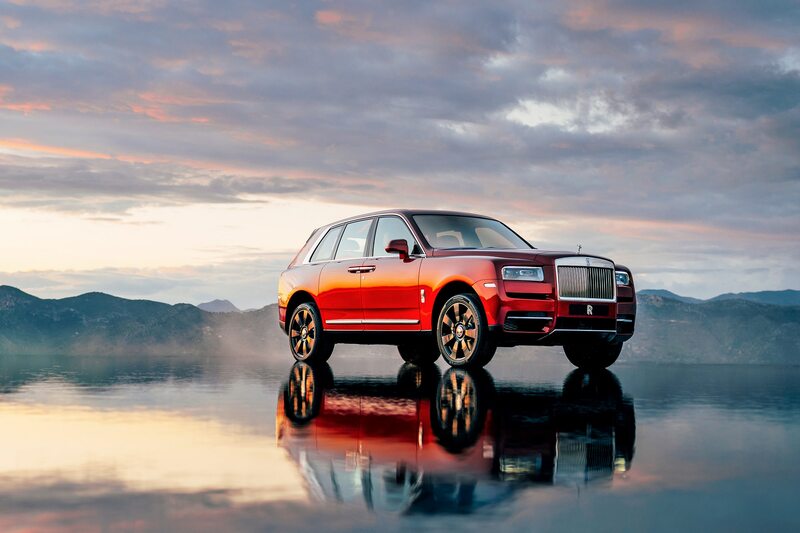 “One of the first benefits of the Architecture of Luxury to the design of Cullinan was the ability to place the wheels and the roof exactly where I wanted them,” said Taylor. 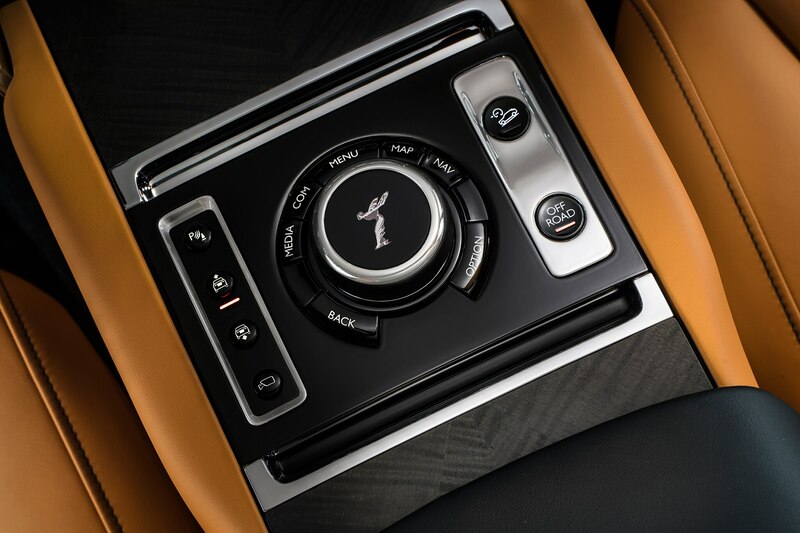 Inside, the new Roller gets a sporty steering wheel, a center stack in Black Grain black leather, an old school clock, and fancy air vents. 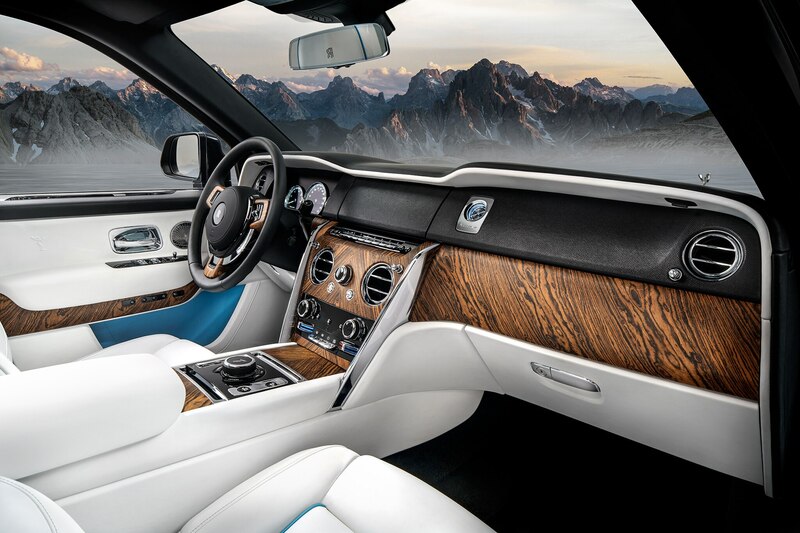 Rolls-Royce says all areas throughout the interior are heated, including the armrests, front center console lid, and lower C-Pillar. The four- to five-seater is available in two rear configurations—Lounge Seats or Individual Seats. 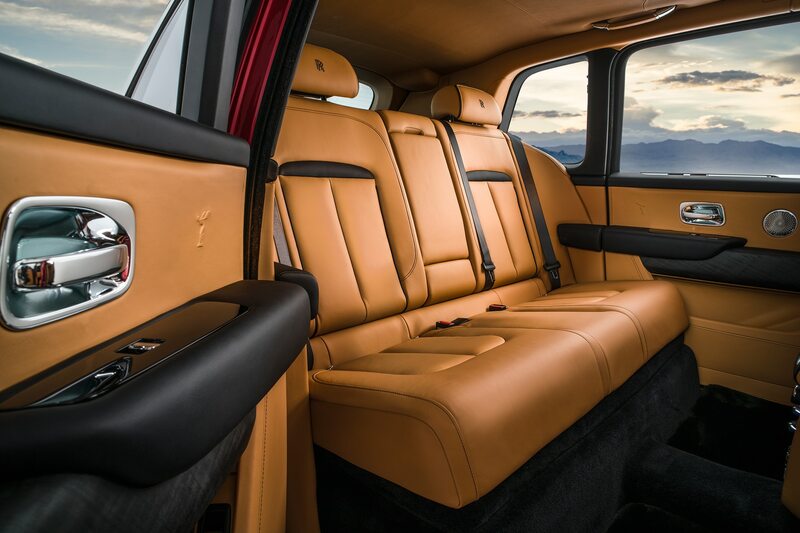 Cullinan’s Lounge Seat configuration is more family friendly and allows for three passengers in the rear. 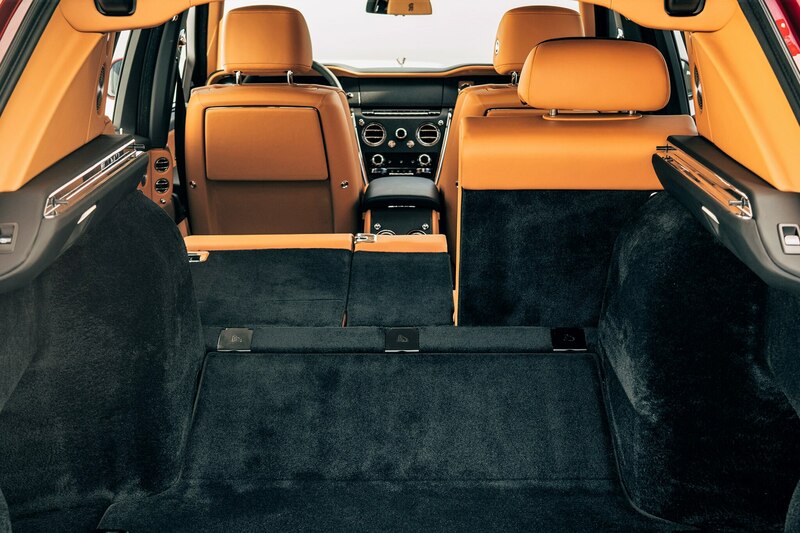 The seats fold down completely—another a first for the marque—to create a flat load area or in a 2/3 and 1/3 split. 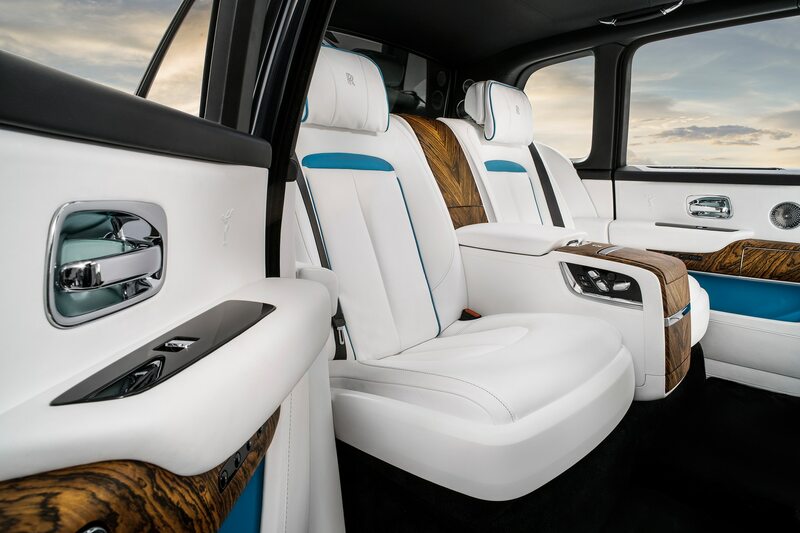 With the seats up, the rear compartment offers up to 21.19 cubic feet of storage space—enough to hold a “Mark Rothko” painting or “newly discovered artifact from the latest archaeological dig,” Roll-Royce claims. 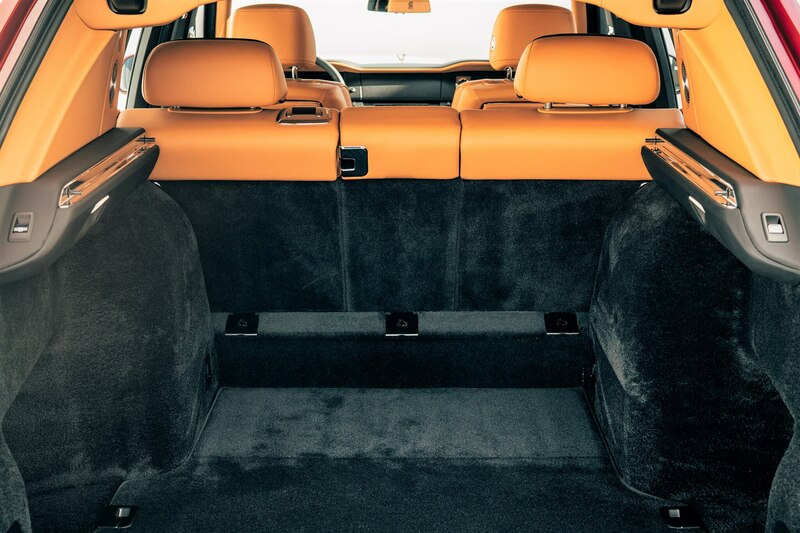 The Individual Seat configuration is our favorite and features two seats separated by a rear center console with a drinks cabinet. 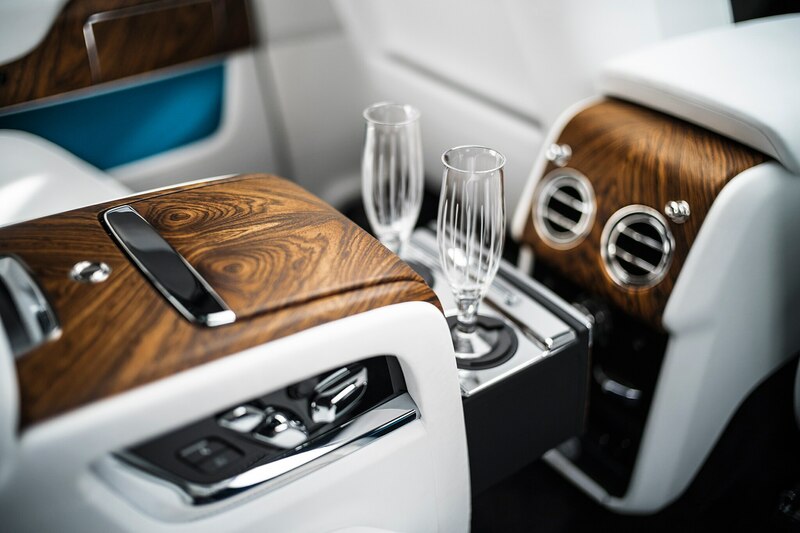 It offers Rolls-Royce whisky glasses and decanter, champagne flutes, and refrigerator. 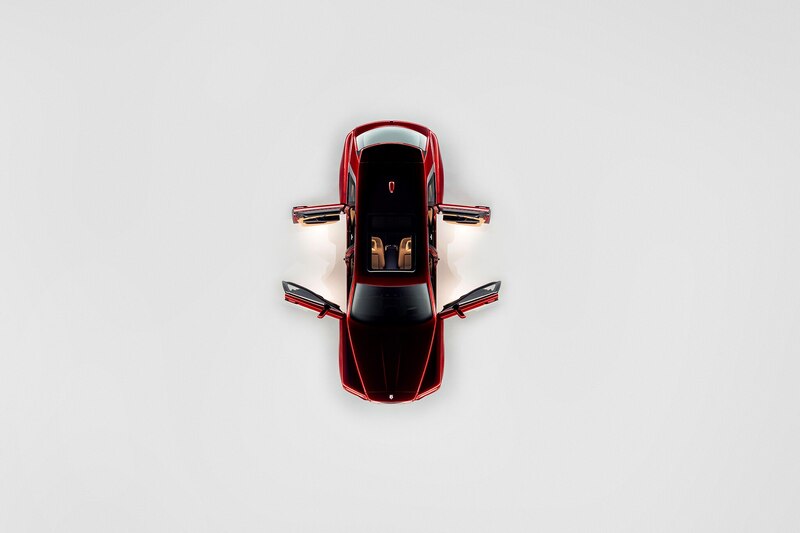 There’s also a glass partition that separates the passenger cabin from the luggage compartment. 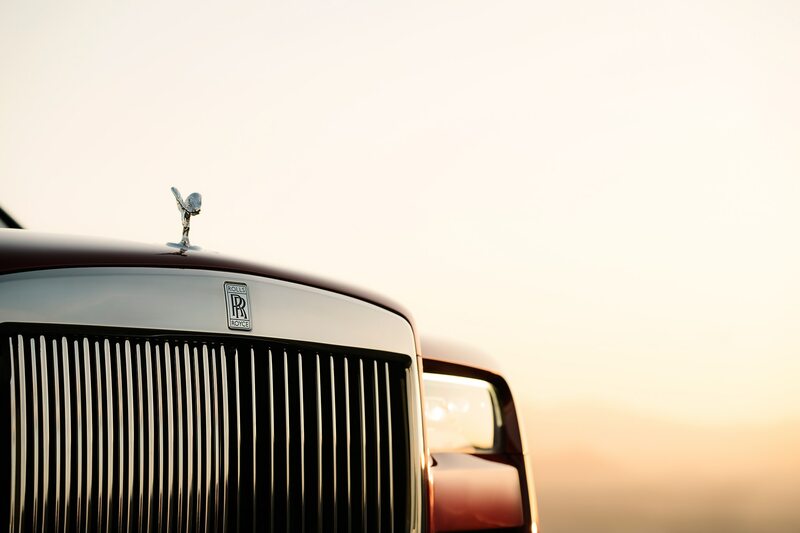 Additionally, owners can commission a Rolls-Royce Recreation Module for their favorite hobby. 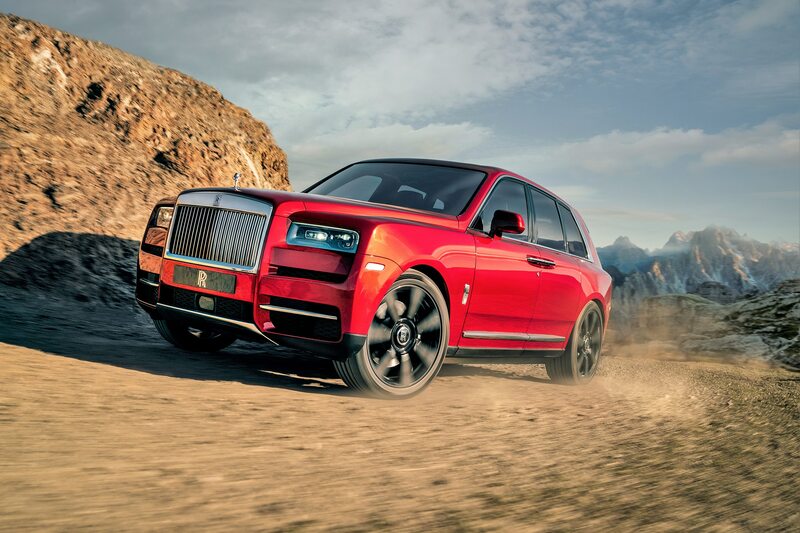 “Fly fishing, photography, rock climbing, snowboarding, parascending, kite boarding, base jumping, volcano boarding or simply sitting and taking in the view, anything is possible thanks to the Rolls-Royce Bespoke Collective,” says the marque in its latest release. 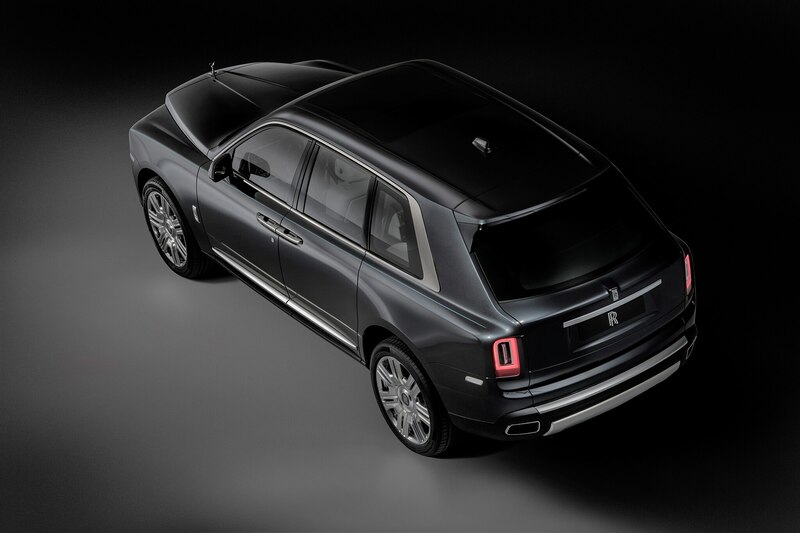 The module is easily slotted and plugged into the rear of the Cullinan. 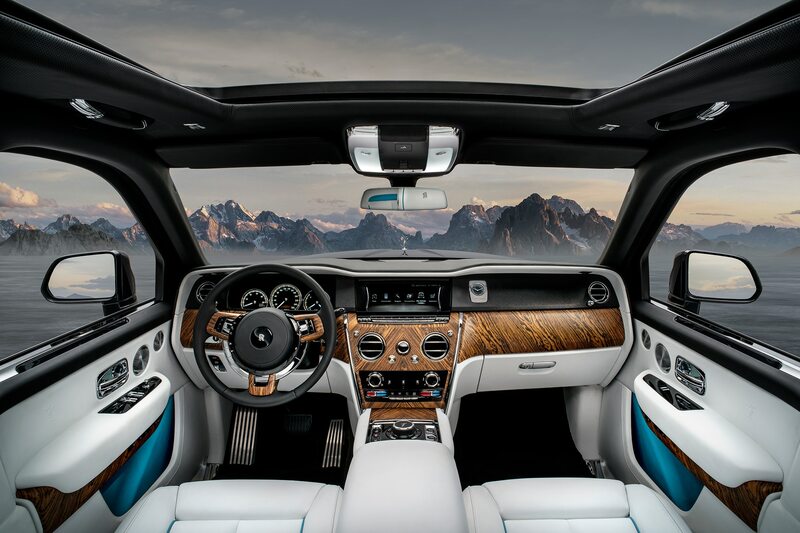 Other goodies include an alertness assistant, five USB ports, a four-camera system with panoramic and helicopter view, night vision and wildlife and pedestrian warning, active cruise control, collision warning, cross-traffic warning, lane departure, and lane change warning. 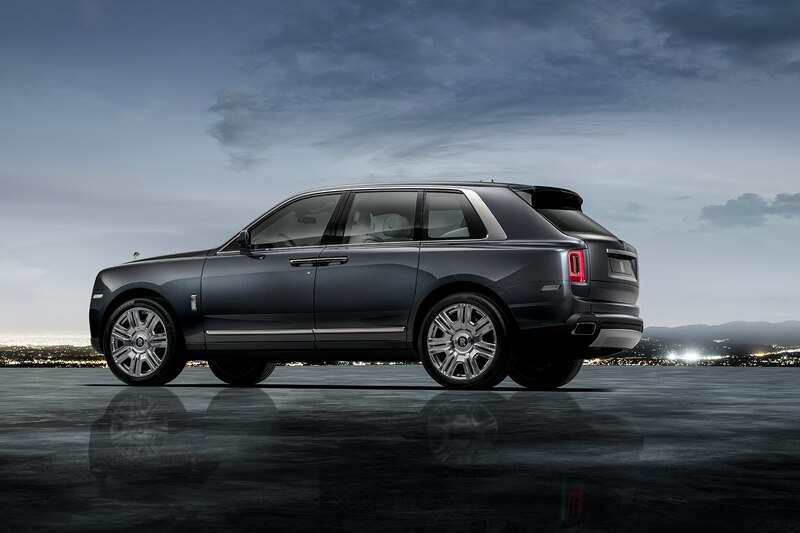 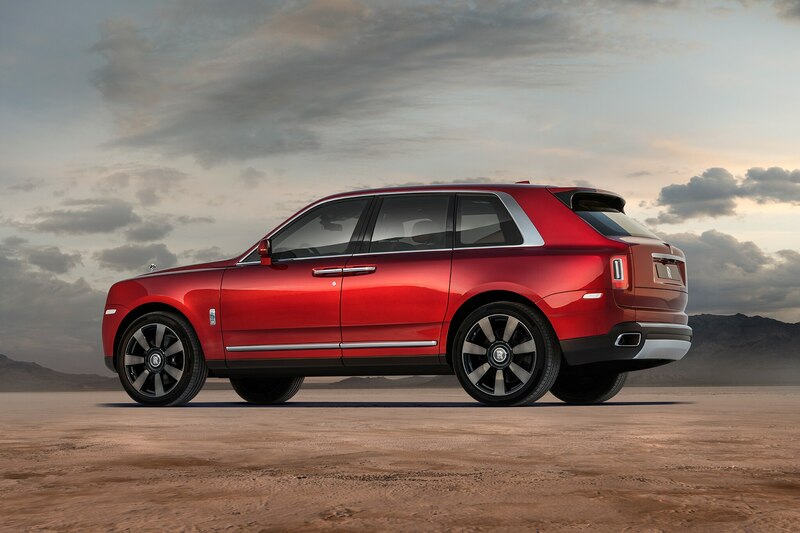 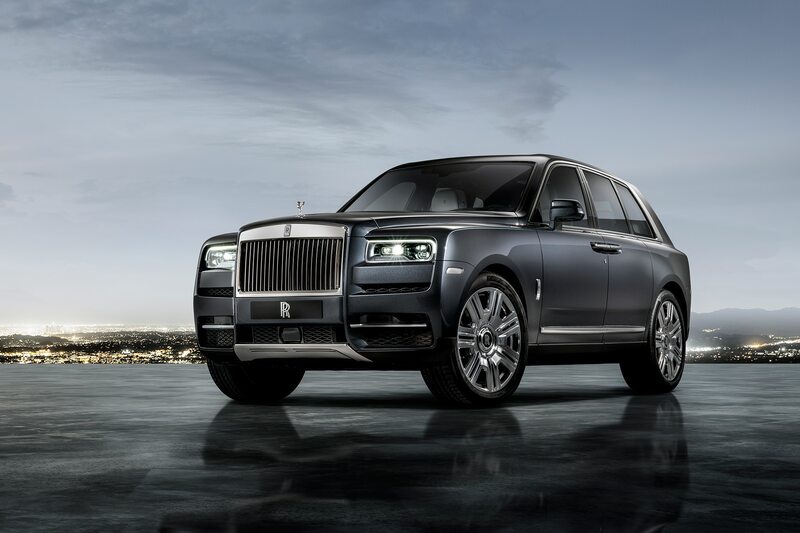 Cullinan lowers itself by an inch and a half for entry and elevates itself once the starter button is engaged. 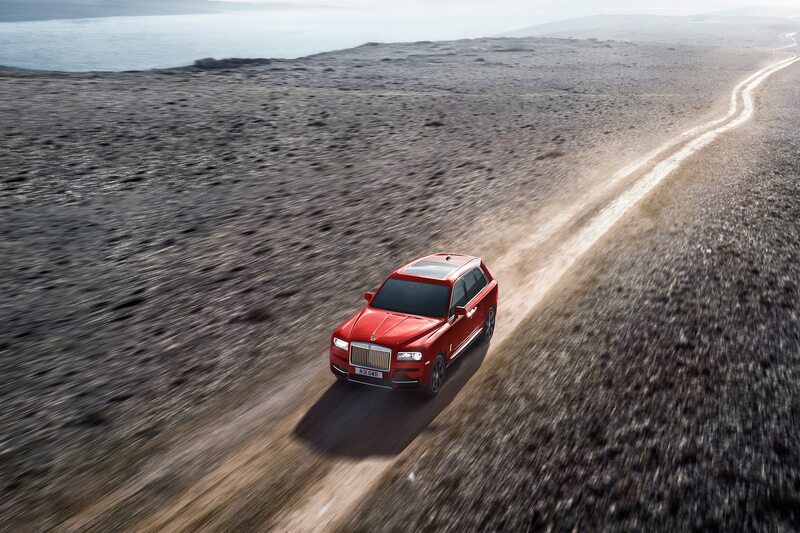 The special SUV also features an “Everywhere” button that unleashes its off-road capabilities for all types of weather and terrain—plus it can wade in water up to 21.3-inches we are informed. 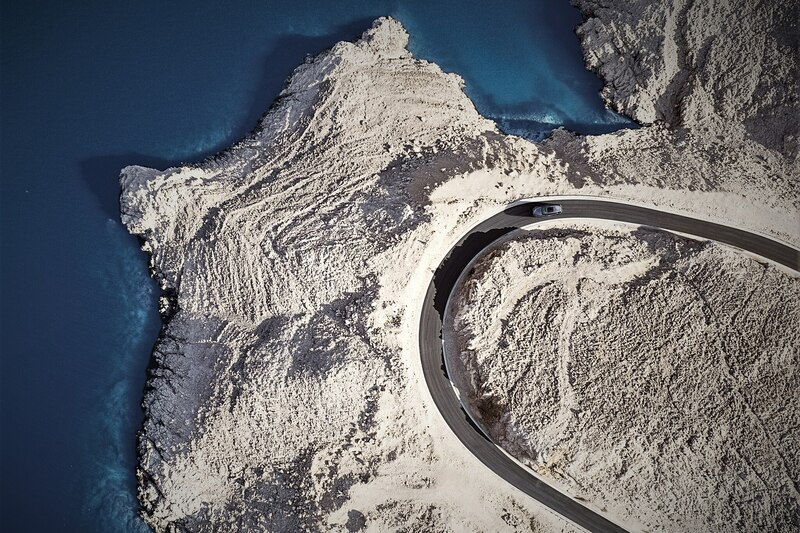 Not that you’d want to do that everyday but you could if you want. 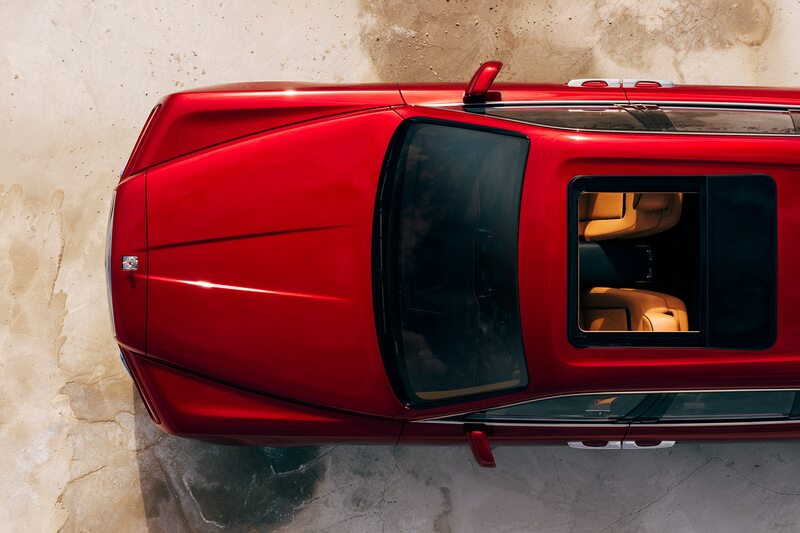 Pricing starts at $325,000 and goes up from there—way up.